Kreative in Kindergarten: New Blog Design! 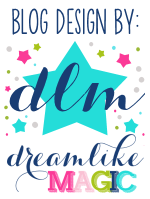 I am loving my NEW blog design by Dreamlike Magic! They were so easy to work with a very quick! I am starting my LAST day of post planning!! Yay for summer! I will be working a lot this summer because of moving, but it will be on my own time. I will take a picture today of my massive pile of STUFF! It is amazing what gets accumulated in 8 years. I am moving into a teacher’s room that has been teaching for 32 years. Talk about stuff! It is overwhelming for me to even watch her go through everything. I will be back later today with pictures!